It’s Back! 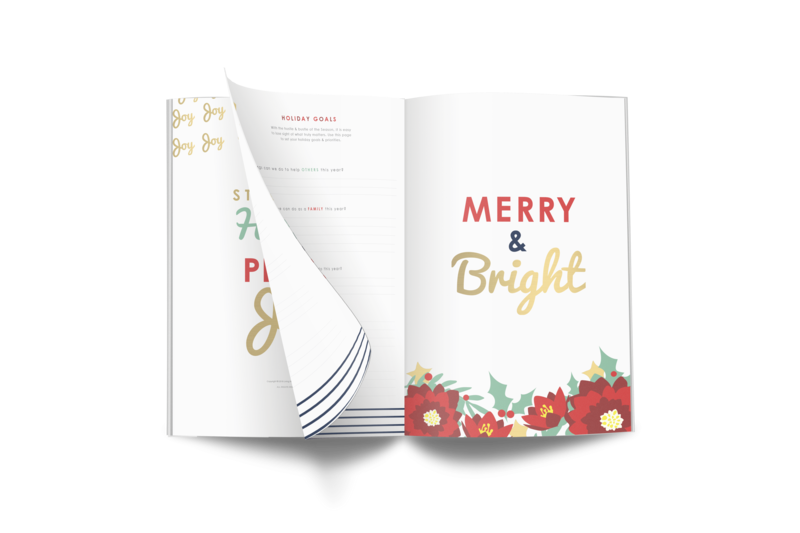 Get Your 2018 Holiday Planner FREE for a Limited Time! It’s a little hard to believe, but the holiday season is right around the corner and will be here faster than you can say Trick-or-Treat! 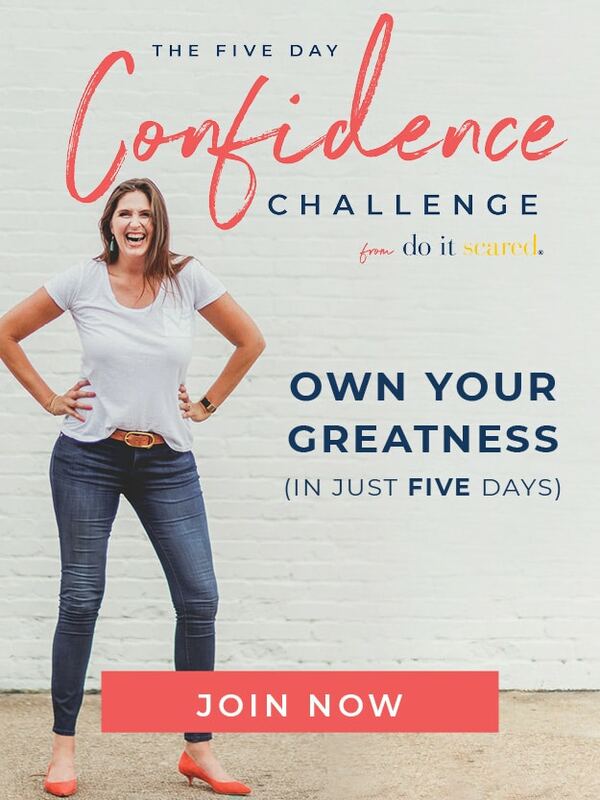 So the big question is this—are you ready? If you are anything like me, this is about the time of year, before all the craziness has started, where you swear to yourself that THIS year will be different. THIS will be the Christmas you’re finally organized, the Thanksgiving where you don’t have to make fourteen trips to the grocery store, including one right before the store is closing on Wednesday night. THIS will be the year you stop running around like a crazy person and instead enjoy cozy nights at home in front of the tree. THIS will be the year of less stress and more joy. And then November happens and things start to get hectic, and before you know it December is here and the real chaos begins, and by the time January begins, both you and your budget are overspent. Believe me, I get it! In fact, I used to feel exactly the same way! Until finally one day in 2011, I’d had enough. 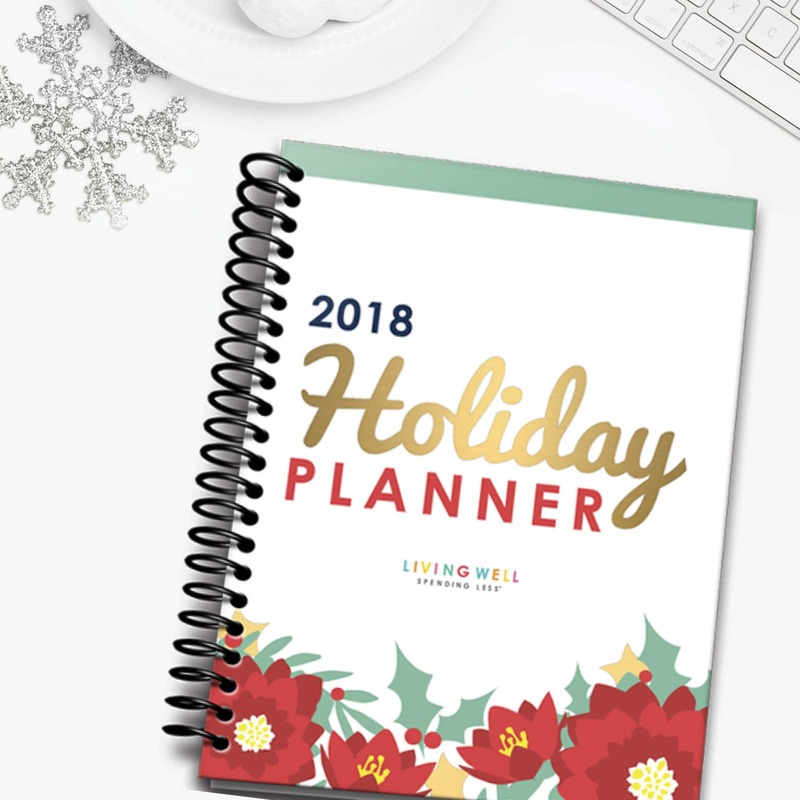 I decided something had to give and so, to help myself get control of the situation, I created my first-ever LWSL Holiday Planner™ and shared it with the Living Well Spending Less® Community. It was such an instant hit that we have been creating one every year since! Yep, that’s right, this is our EIGHTH annual Holiday Planner, and I’m not kidding when I tell you that it is our prettiest one yet! We usually try to make it available by November 1st, but because we always get a TON of requests to make it available sooner, this year we pushed ourselves to get it done a few weeks early. After all, early planning is a key ingredient to having less stress for the holidays! With that said, we are happy to announce that the 2018 LWSL Holiday Planner is now available and ready to download! 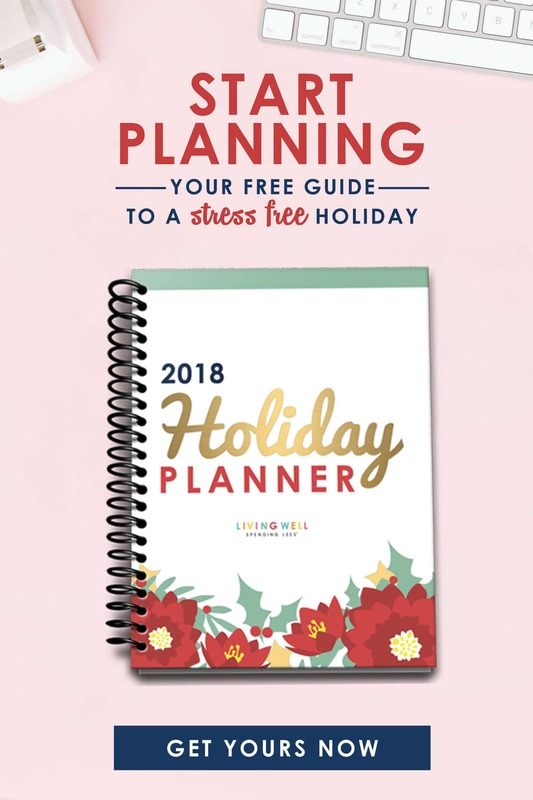 Our LWSL Holiday Planner™ is intended to help you (and myself) create more joy and less stress around the holidays. It will help you prioritize your time, set a budget, plan your meals, create a gift list, and make the most of your holiday season. Each year we also take your feedback & suggestions, which means it just keeps getting better. 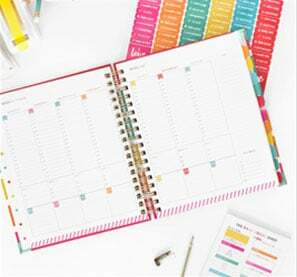 In fact, this year’ s version includes shopping plans for Black Friday and Cyber Monday, multiple grocery lists for your different occasions, and even a party planning worksheet. In other words, it is a total lifesaver–one that might just make all the difference for your sanity this year! It’s completely FREE-just our way of saying thanks for being part of the Living Well Spending Less® community! Simply click the button below to have our 2018 Holiday Planner sent straight to your inbox. Well, I’ve heard a lot about this planner and I am so happy that this year I will be among the ‘elites’ and will have my planner to help me organise myself for my favourite time of the year (which also happens to be around the time of my birthday). Thanks so much in advance. Fill your holidays with more joy and less stress! This planner is gorgeous! I love the holidays and finding things like stationary that make it feel even more Christmasy is awesome. Loving this planner! I need to get one ASAP it’s perfect for the holidays. Definitely getting one. Makes my holidays way less stressful. I got the planner, I really like it. I have been a wife & mother for going on 26 yrs. So I hope you don’t mind if I add a few suggestions. – You put “4 DAY BEFORE THANKSGIVING”. Personally I buy at least 2 weeks in advance but that’s just me. – If you can put an option for those that don’t stuff turkey cause I don’t, lol. I’ve tried several times to get the planner but I never get the email with the download link. I have tried numerous times to get the holiday planner but have not received the email with the link. Hi, I’ve tried a few times to get the planner but haven’t received it. I checked my Trash and Spam, too. Thanks! I have tried several times to get this awesome planner and never receive an email for it. Can you help me? What an awesome gift! Thank you so much for this! Hi Ruth, I love using this planner every Christmas! I tried earlier this week to get it (while the offer clock was still ticking), and it never came in my email or junk mail. I see now the the offer is over – is there any way to still get it? I haven’t received the email to download the HOLIDAY planner. Could you please send me the link? I get your emails regularly and really enjoy them. So… very disappointing I am unable to join everyone in trying to get my s*@t together.lol.